Donna B Fine Art: "Marengo", "Polo Players Edition" Magazine, December 2010. "Marengo", "Polo Players Edition" Magazine, December 2010. 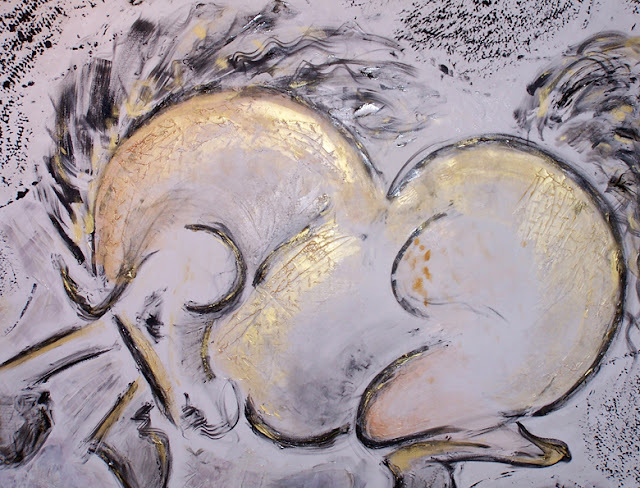 "Marengo", life-size mixed media acrylic/metallic painting, 72 x 60. "Sporting Art" issue, "Making History", pg. 36. "This is one of the few historical pieces I have created, in that it is an homage to the incredible gray ridden by Napoleon Bonaparte. Though I am sure he may not have played polo, his fine stallion was a highly trained military animal, athletic and highly responsive in many sudden situations - not unlike sport. Many of the early methods of training horses were based on military maneuvers, which later were incorporated into the equestrian sports we enjoy today." I really like this painting! Form and Line are very organic and creative! Just love this painting and i like the creativity of this art.